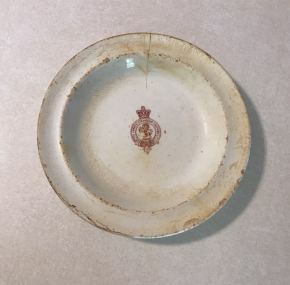 Impressive and rare intact dinner plate brought up from the wreck of the ss Oregon in the 1990s. This is the last of the four plates I bought that is not broken. A wonderful and hard-to-find addition to any Cunard Steam Ship Company collection. 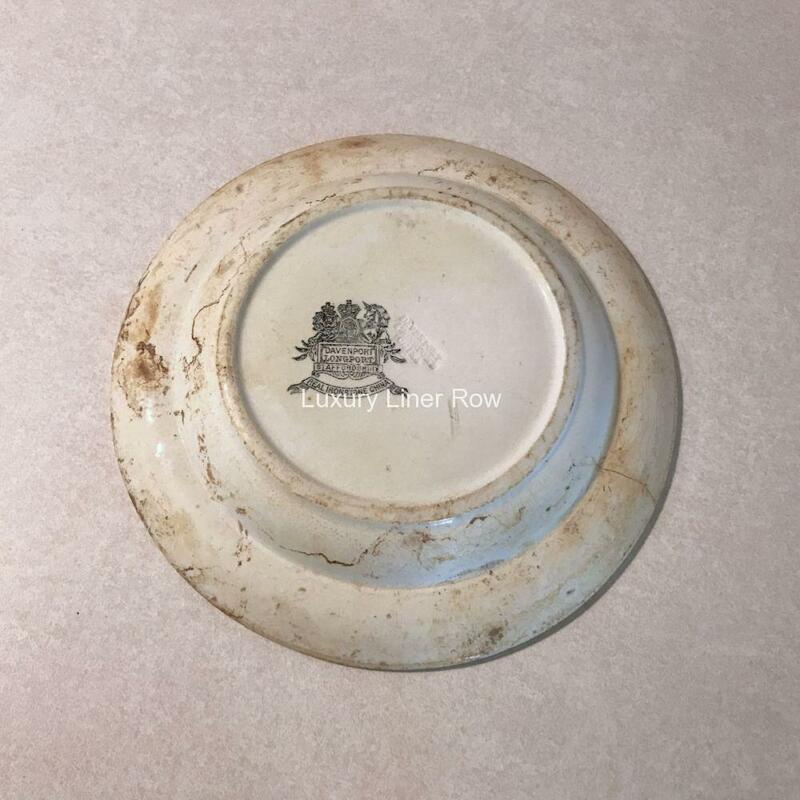 Until you handle a lot of Cunard 19th century china (and there are precious few people who have), it is easy to mistake this plate for a shallow bowl because it is deeper than what we think of as a dinner plate today. 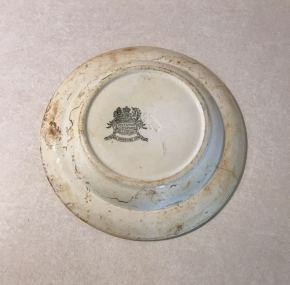 In the collection of salvaged Oregon items I bought was without doubt a soup bowl, which is much deeper, confirming that this style is a plate. I suppose this extra depth for these plates was a type of bad-weather precaution. With such a deep-edged plate, the food would be a bit more contained. After all, these were tiny ships — Oregon was just under 7,400 tons — so they must have bounced around a lot!